Behind every fashion-forward Instagram account is someone with a few clever tricks up their sleeve. Instagram can now quite literally be a full-time job and so a lot of hard work can go on behind-the-scenes on those polished pictures that you often double tap on your daily Insta-scroll. Fashion blogger Aimee Song even wrote an entire 208-page book about how to hashtag, filter and the like called Capture Your Style. If you are looking to up your own Instagram game, there are a number of clever tricks and rules that will instantly give your feed a makeover. 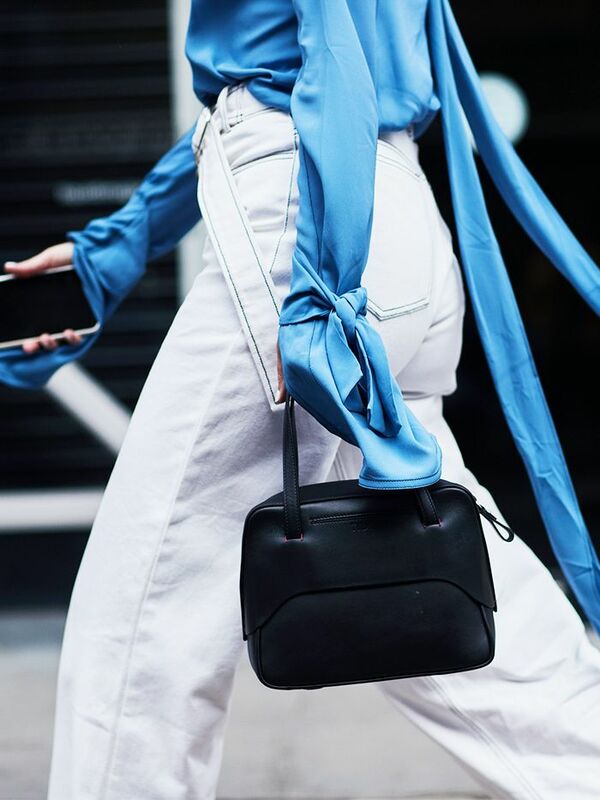 Keep scrolling to find out 12 secrets to having a fashionable Instagram account that we've learned from our favourite fashion influencers. Kendall Jenner and Gigi Hadid are pros at this method. Simple captions (or none at all) keep followers intrigued and are in sync with the immediacy of Instagram. And no one wants to see a paragraph of hashtags. One or two will suffice if any. A feed filled with just scenery, friends, animals or accessories can get a little stale unless you're going for a theme with your account. If not, include a mix of images and videos to keep it varied. Often brands will regram the best images posted by followers, introducing your feed to a whole new audience. And even if they don't, your image will still be included in the tagged photos section of the brand's feed. While Instagram influencers certainly post selfies from time to time, they usually feature something else besides just themselves to shift the attention away from the fact that they're taking a selfie. The most common selfie additions that we see right now? Statement earrings. This is an easy way to add interest to your feed and spark a reaction. A classic image of Jean Shrimpton, Jane Birkin, Marilyn Monroe or Kate Moss in the '90s, to name a few, are always hugely popular. Whether bright and colourful, white-washed or muted, a consistently hued feed is a commonality among fashion-forward accounts. Try using similar filters for your posts or blogger-favourite editing apps VSCO and Faded. Katherine Ormerod, of Workworkwork.co, says that "Afterlight is THE app to know." The posting of Polaroids (the new photo booths) is a recent trend we've spotted on many of our favourite Instagram accounts (including Bella and Gigi Hadid's). We find that nothing gets likes on Instagram quite like a picture of a pair of shoes. You'll notice that the biggest Instagrammers typically post images at an angle or avoid including the entire subject in the frame. While Carrara marble currently reigns supreme, mosaic tiles, colourful walls (particularly pink) and industrial settings are also popular options. Often the background is the main event in a photo, but keep in mind that there's a happy medium. Something overly busy can be too distracting. Although a flash is often essential for evening posts, fashion Instagrammers often avoid using a flash, instead opting for flattering natural light. Try using Boomerang or a photo mirror collage app to make outfit posts more fun and stand out on the newsfeed. If you're in need of more inspiration, see our list of the 31 best fashion influencers to follow now.